Your annual boiler service ensures that your boiler is running smoothly and efficiently. 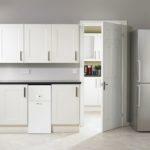 A boiler service is carried out by a Gas Safe qualified engineer who will charge you. To see what you are getting for your money, here is a list of what a boiler service engineer will check and carry out during this process. Check boiler ventilation. Check that there are no leaks or cracks for potential leaks in pipework and joining sections. What a boiler service engineer will check when carrying out a service. Removal of boiler cover and to strip down boiler. This will include an inspection and cleaning of the flue of any dirt and residue. A Cleaning of the condenser trap if the boiler has one. The engineer should then check how the boiler is working at maximum capacity and finally they will check the incoming gas pressure along with the burner pressure, the running pressure at the gas meter. As you can see they will check all the main elements of your boiler and give it a good clean to try and ensure no problems will arise. No one wants a shock boiler breakdown and a good service carried out yearly will help towards preventing this. Prevention is cheaper than the cure. 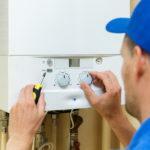 Boiler services can also pick up any problems that need fixing. If this is the case then there will be additional costs for parts and labour. Depending on the problem this can be considerably more. One way of protecting yourself from any extra costs throughout the year is a boiler service plan or boiler cover. These are monthly payment plans that cover you for any parts and labour required for any problems or boiler breakdowns. 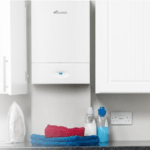 Take a look here at an example of a great pay monthly boiler cover offer for your peace of mind. 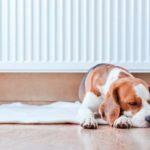 Why Does A Boiler Need An Annual Service? Where Should I Put A Boiler In My House?